Reading books to your baby at bedtime is a wonderful and intimate way to spend time together and mentally prepare him or her for bed. Right away I can think of at least five reasons to read to your baby before bed, and no doubt you can think of plenty more. 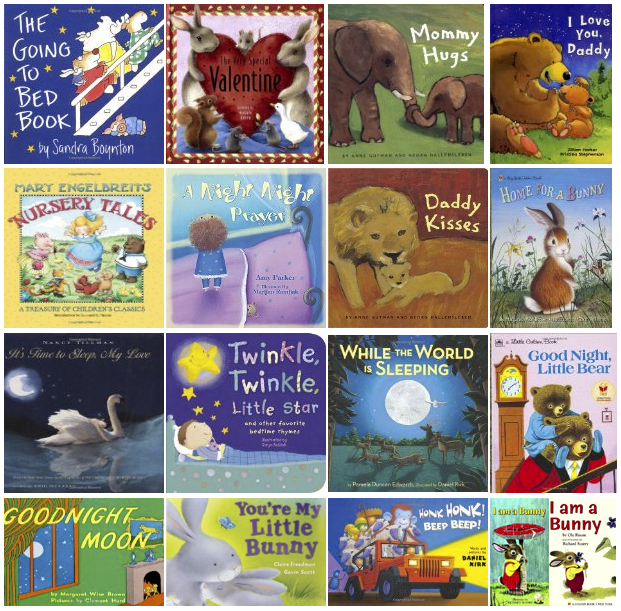 Here, I’ve assembled a collection of my favorite books to read to babies at bedtime. 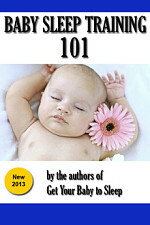 Choose a category, or click any of the titles below to see details and my review of the book. 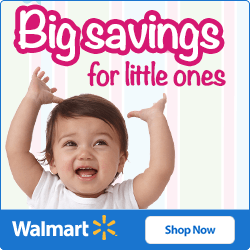 Please, use the comments section to add your own favorites! 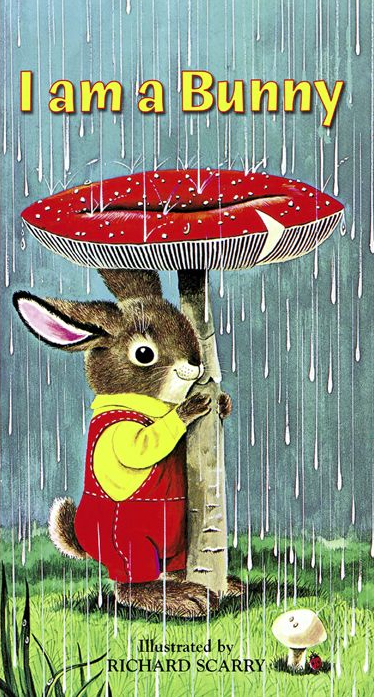 I Am A Bunny by Richard Scarry This is one of my favorite books of all time; I remember it from my own childhood. Nicholas the bunny, who lives in a hollow tree, goes through each of the seasons and then curls up in his hollow tree to dream about spring. 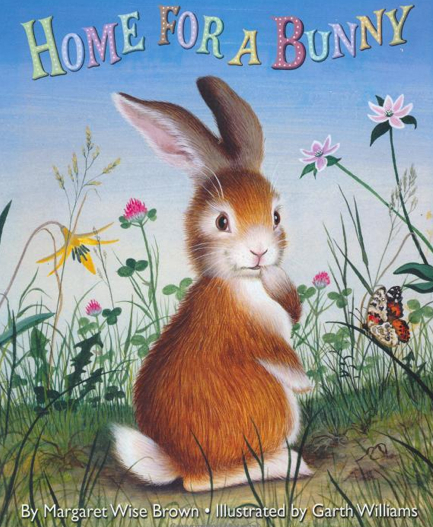 Home For A Bunny by Margaret Wise Brown Another excellent book by Margaret Wise Brown, also featuring a bunny, but this time he’s hopping along trying to find “a home for a bunny, a home of his own. Under a rock, or a log, or a stone.” He’s turned down by various creatures and (spoiler alert) eventually shacks up with another bunny. 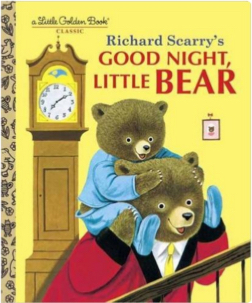 Good Night, Little Bear by Patricia M. Scarry and Richard Scarry This book is by Patricia M. Scarry, the wife of Richard Scarry, who illustrated it. It’s about a little bear who doesn’t want to go to bed, so he “hides” on his dad’s shoulders and the father goes around looking for him. 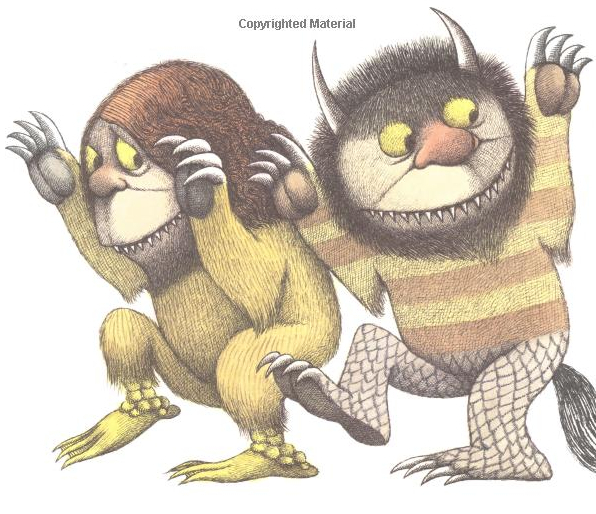 Where the Wild Things Are by Maurice Sendak The book I cherish most from my own childhood. A boy misbehaves and is sent to bed without supper, where he takes a journey to become king of the wild things for “almost a year” and then comes home to find his supper. And it was still hot. 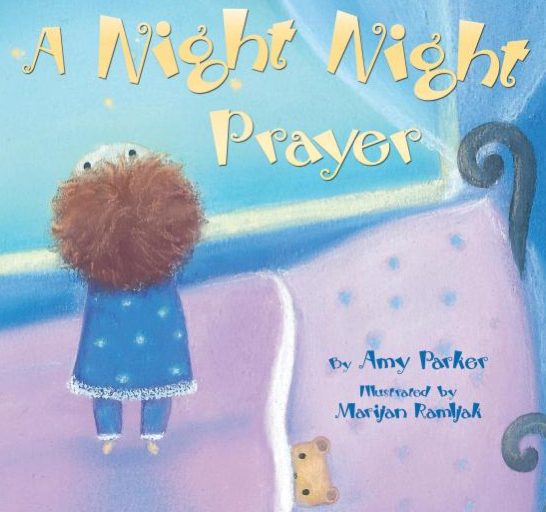 A Night Night Prayer by Amy Parker Shh! 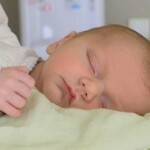 It’s time for sleeping. For snuggling in so tight. But first I say my night night prayer, and to God’s world, goodnight! 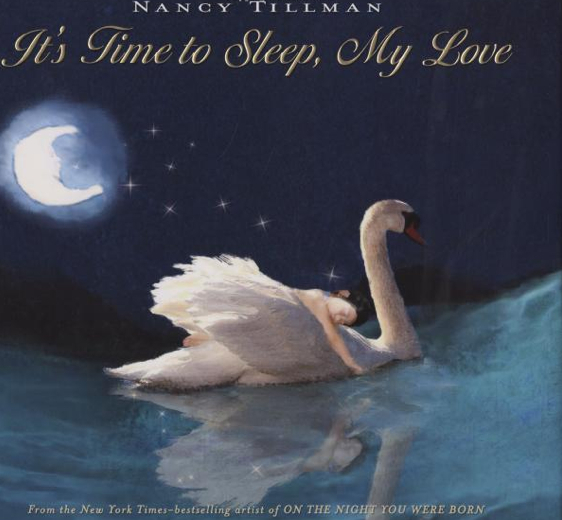 This is a quick read with unique and soothing illustrations as a little child says goodnight to the trees, the sun, the birds, and so on. 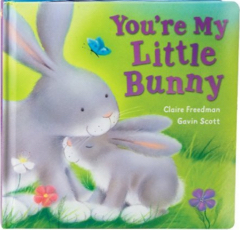 You’re My Little Bunny by Claire Freedman and Gavin Scott This is a cute little book about a little bunny’s relationship with his mommy, following them for a day as they wake up, hop around, and eventually find their way home to go to sleep. 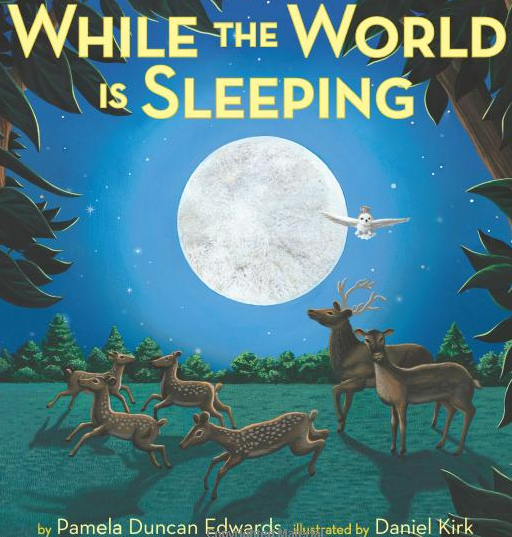 While the World Is Sleeping by Pamela Duncan Edwards and Daniel Kirk In this book a little girl flies on her owl’s back over various nighttime scenes, wonderfully illustrated by Daniel Kirk. 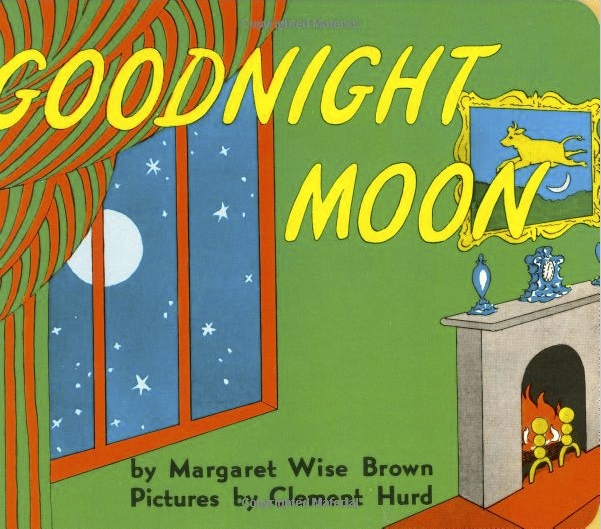 Lots of animals are visited — deer, fox, mice, porcupine, and others — before the owl flies the girl home to rest her head. Honk Honk Beep Beep! 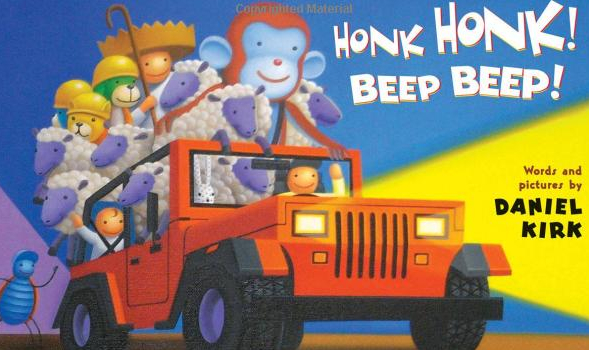 by Daniel Kirk In this book, a jeep drives around a boy’s room at night, picking up various passengers and stopping to honk the horn. There’s nothing fancy about the writing or story line, but the illustrations by Daniel Kirk are excellent, and your babies will love the repetitive “Honk Honk Beep Beep!” on every other page. 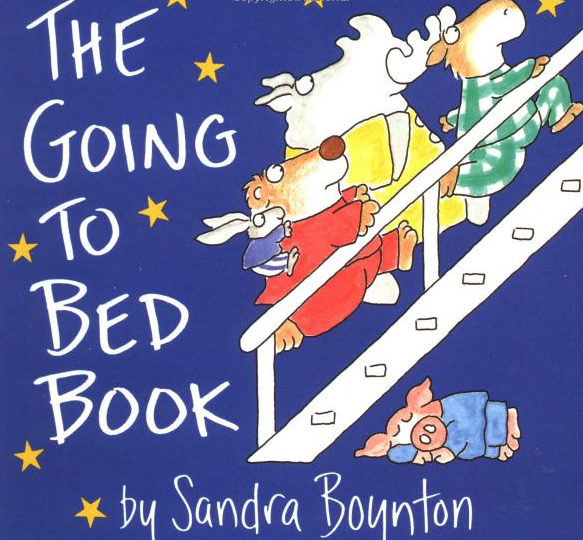 The Going to Bed Book by Sandra Boynton Sandra Boynton is one of my favorite children’s author-illustrators; she has several books that we love, most of which feature a similar cast of barnyard animals. All of them have cute illustrations and are quick, easy reads. In this one they all run upstairs to bed as the moon rises. 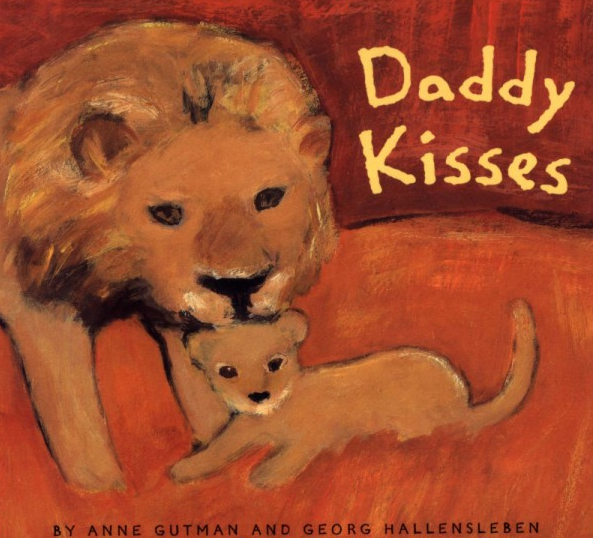 Daddy Kisses by Anne Gutman A short but sweet book about a bunch of animal “daddies” kissing their babies, ending with “My daddy kisses me all over, like this!”. 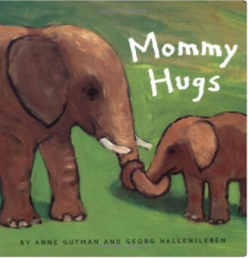 Mommy Hugs by Anne Gutman Another short but sweet book for mothers who feel “left out” by Daddy Kisses. Similar concept, except a bunch of animal “mothers” hug their babies with cuddles and squeezes. 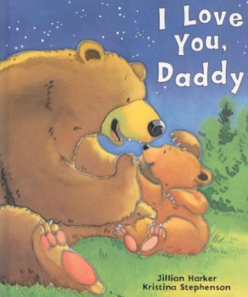 I Love You, Daddy by Jillian Harker and Kristina Stephenson One of my daughter’s favorites, a book about a little bear who’s getting big enough to climb a tree, eat some honey, and help his daddy pick out a place to hibernate for the winter (spoiler alert: it’s a cave). By the end of it all he’s so exhausted he can’t quite finish telling his daddy, “I love you, D-…” before falling asleep. 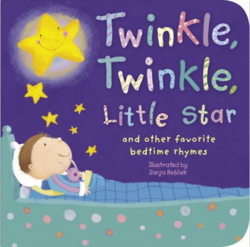 Twinkle, Twinkle, Little Star by Sanja Rescek A collection of short nursery rhymes, many of them bedtime/nighttime themed, and accompanied by colorful illustrations. 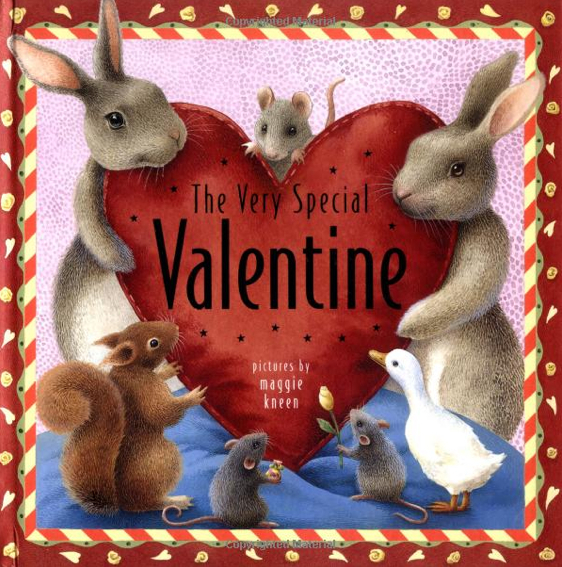 Star Light Star Bright, Jack Be Nimble, Wee Willy Winkle, and others are joined by a few of the author’s own little sonnets. 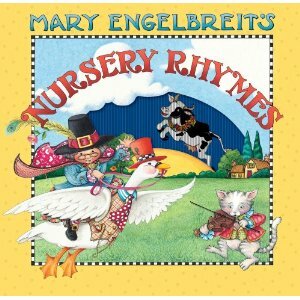 Nursery Tales by Mary Engelbreit The talented Mary Engelbreit re-tells and illustrates (in her own style) some of the classic nursery rhymes, including Goldilocks, the Three Little Pigs, and others. We have the hardcover, which is a very high-quality book with dust jacket. 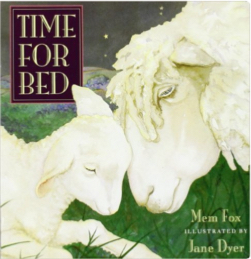 Time for Bed by Mem Fox and Jane Dyer Lovely paintings and a soothing, repetitive prose make this an excellent book to read just before bed. 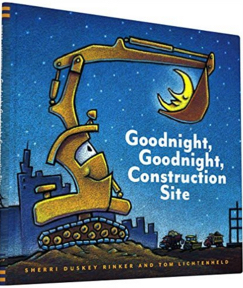 Goodnight, Goodnight, Construction Site by Sherri Duskey Rinker and Tom Lichtenheld One of the most popular books on Amazon right now, this one follows all of the machines in a construction site as each one goes to sleep. 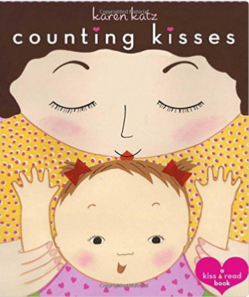 Counting Kisses by Karen Katz A fun book where Mommy gives her baby “ten little kisses on teeny tiny toes,” and “nine laughing kisses on busy, wriggly feet,” ending up with a last kiss on her sleepy, dreamy head.